The McGill community has lost a great friend. On Aug. 26, Mr. Hugh Hallward passed away at the Montreal General Hospital from complications stemming from a fall. He was 87 years old. Born into a prominent Montreal family with a long philanthropic tradition, Hugh Hallward graduated from McGill with a BA in 1951. He would go on to build an exemplary career as president of Argo Construction, and – teaming with his undergrad friend Lorne Webster and Charles Bronfman, help bring the Expos baseball club to Montreal. As McGill played a huge part in his life, so, too, would Hugh Hallward play a huge role in the life of McGill. 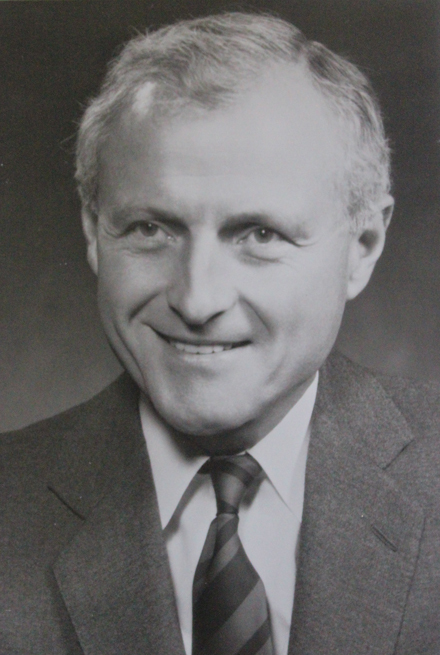 As president of the McGill Alumni Association in the early 1970s, Mr. Hallward was ahead of the curve in recognizing the value of building strong global connections. He chaired the Board of Governors from 1982 to 1990, and was a key player in two ambitious, successful fundraising campaigns in the 1980s and 1990s. An avid sports fan with an encyclopedic knowledge, he later chaired the McGill Sports Hall of Fame, and was instrumental in helping re-establish the McGill golf program. McGill awarded Hugh Hallward an honorary doctorate in 1991, and the McGill Alumni Association recognized his lifetime of hard work and tireless dedication with its highest honour, the Award of Merit. “His efforts really set a model for the future,” says Tom Thompson, McGill’s senior philanthropic advisor. “He encouraged people to think outside the box, long before that became an MBA mantra. It’s rare to have a volunteer leader be a constant through so many different periods and different challenges. Mr. Hallward is survived by his wife, Martha, his sons, Graham and John, his daughters, Peggy, Faith and Annabel, and seven grandchildren. A private family funeral was held earlier this week. In lieu of flowers, the family suggests that people wishing to remember Mr. Hallward’s life and work make donations to the Montreal Children’s Hospital Foundation and the Montreal Oral School for the Deaf.